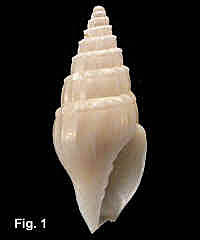 Description: Shell with turreted whorls, aperture about one-third of total shell length. Axial sculpture of strong folds, becoming weaker or absent on the body whorl and sometimes on the penultimate whorl. Spiral rib on shoulder, forming beads at the intersection with axial folds. Columella with four widely spaced plaits, the penultimate strongest. Outer lip with about 10 lirae in deep interior of aperture. Colour uniformly white or fawn. Size: Up to 13 mm in length. Distribution: Endemic to Australia: Sandy Cape, Queensland, to Cape Everard, Victoria. 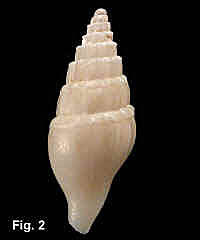 Habitat: Known from 118-1,097 metres. Common. Remarks: This is one of the species that was first collected by the "Challenger" expedition in 1874 at station 164B, off Sydney in 410 fathoms (750 metres), and named by E.A. Smith in 1891. The species from station 164B were so unfamiliar that specialists later declared that an error had been made, and the specimens were actually from the Atlantic Ocean! This belief persisted until the 1980's, when more material became available from deep water dredging off Sydney. 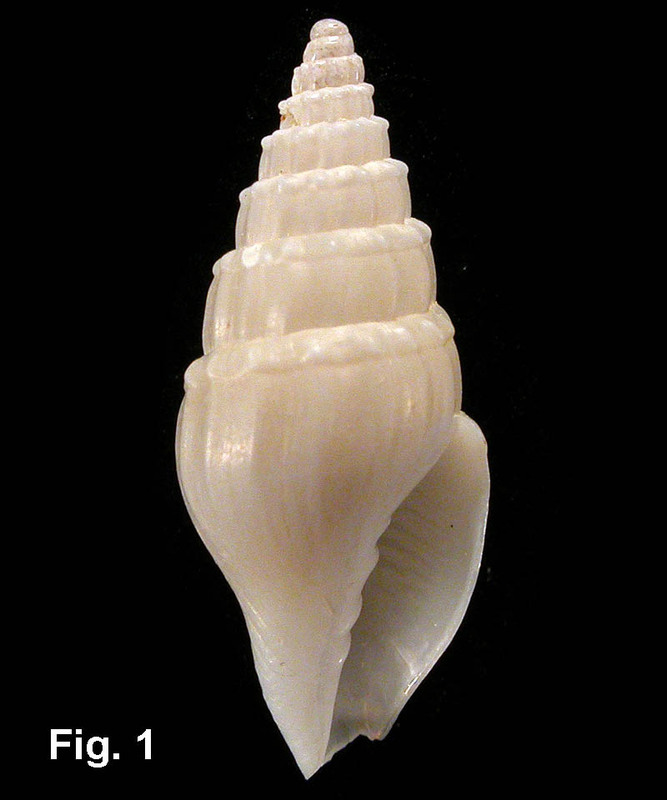 The Australian Museum now holds 53 lots of this species, most of them from 300-500 metres.